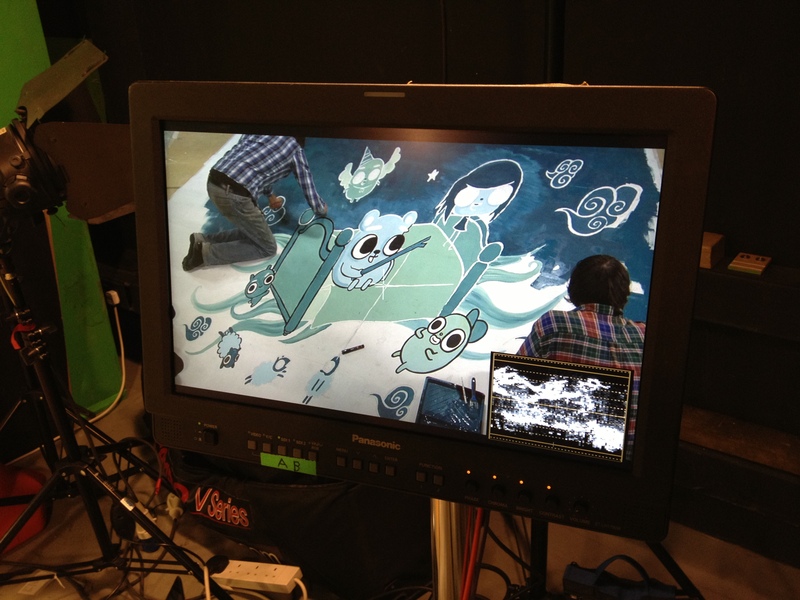 The making of SuperGlad Advert. We pitched to Coatsink Software to create a fun exciting advert for their upcoming release SuperGlad For the project we once again collaborated with Loday Gonpo. The advert can be seen here. When we were developing the ideas for the advert we wanted to use the brilliant concept art from within the game by Fran Coles, but didn’t want to use actual in game animations. 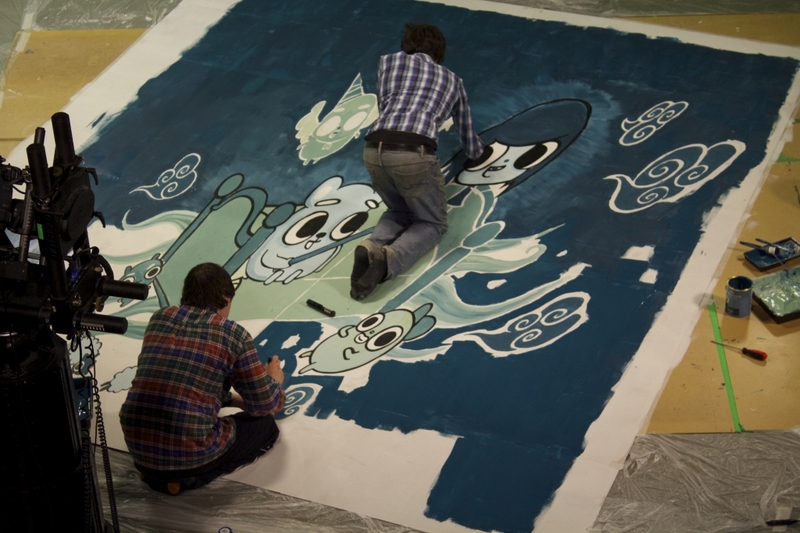 We wanted original content to use so we decided on creating a huge 12 foot painting of the characters! This would then be captured over 6 hours and sped up to the final output of 30 seconds. 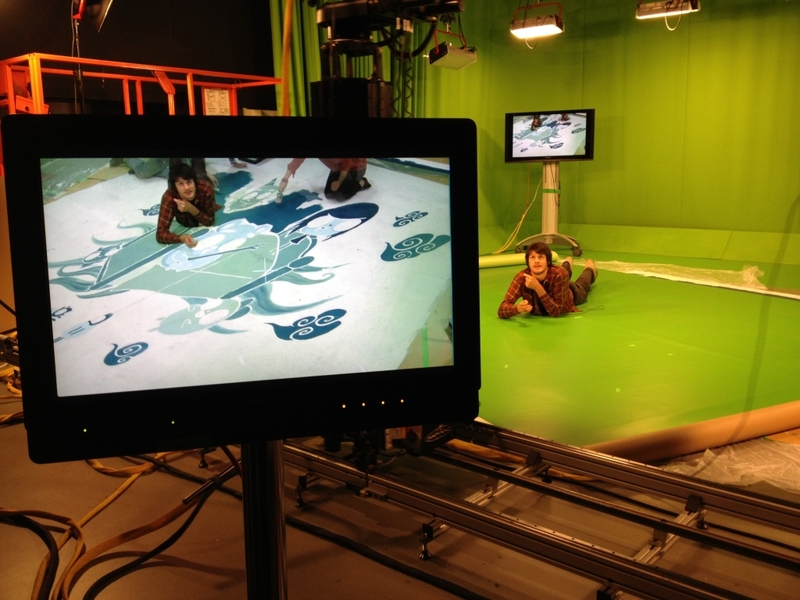 We decided to shoot the advert at the SoundStage Studio inside Teeside University to use the Marc Roberts Flair motion control system in a green screen environment to shoot multiple passes of the exact same camera move. 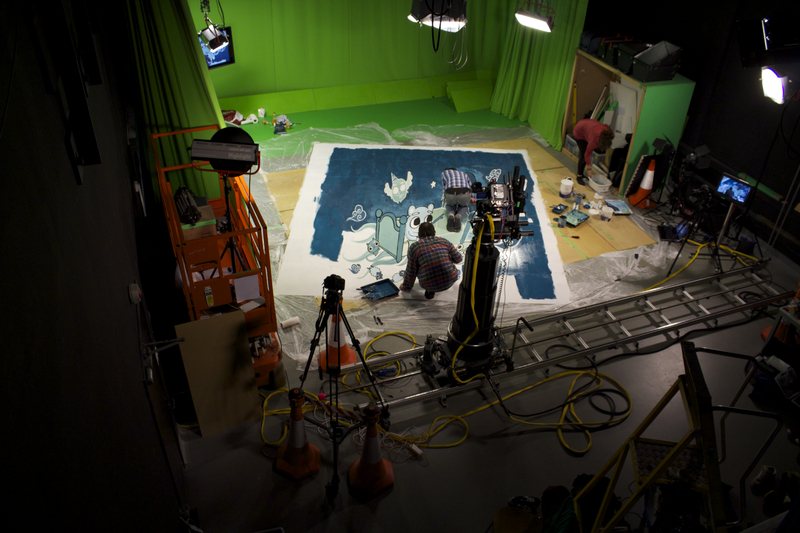 One pass would be done over six hours to capture the live painting and then multiple passes were made with the narrator in different parts of the frame. 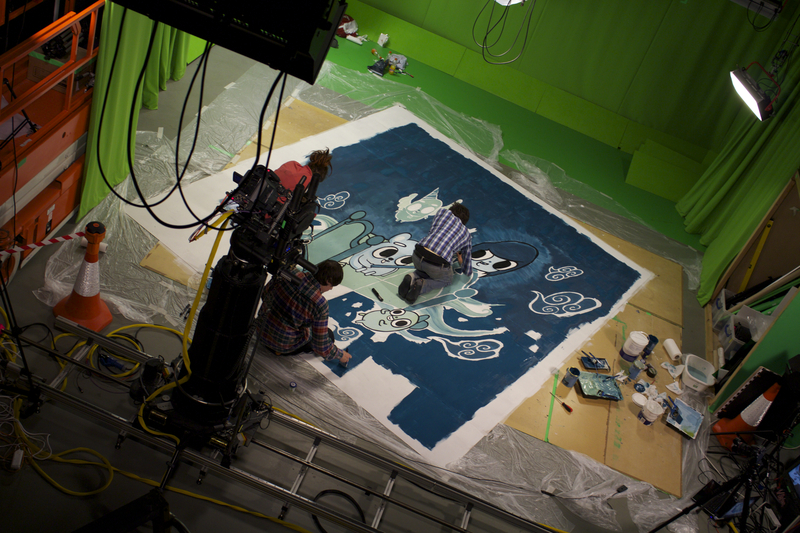 On the shoot Fran painted with two friends Anthony & Dom from Turps Magazine. 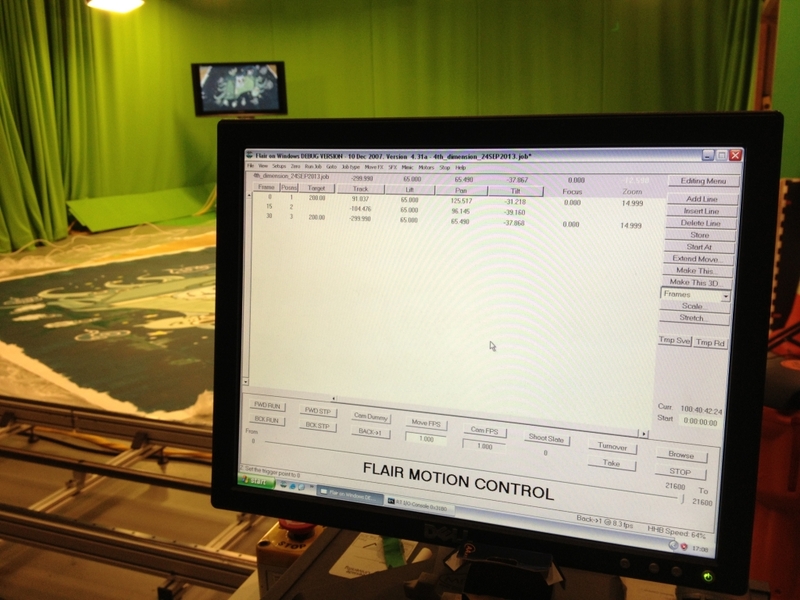 The camera move had been programmed to take 6 hours to get from one end of the 15 ft track to the other and they finished the painting in just enough time to let the move finish! You can see a behind the scenes video here filmed and edited by Lee Maughan.